Great old advertisement depicting three of my most favorite things. Let me guess : headphones, globes and embroidered seat cushions??? 3 things.... thats sooooo easy! 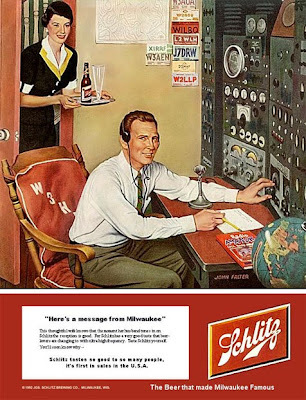 third: the depersonification of the double entendre 'Here's a message from Milwaukee.' If you know the history behind section 8 of the chron, then you know exactly wtf I mean!!! 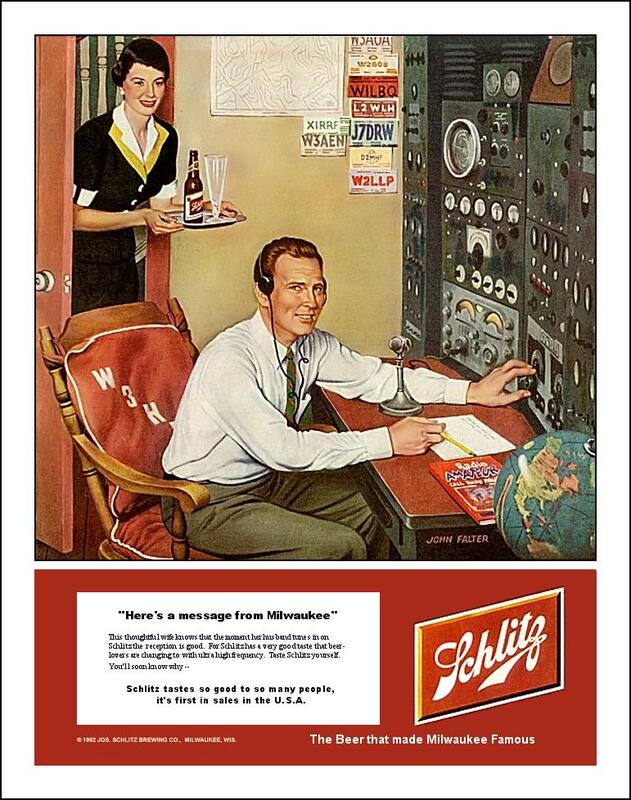 are there still ham radio operators or has the internet killed that? Wow, "War of The Worlds" and "Pale Blue Dot" we've come so far. First day of 'Spring Training' I guess, it's finally time to get out of the house.